Diamond Details: 26 Round brilliant cut white diamonds, F color, VS2 clarity, with excellent cut and brilliance, weighing .59 carat total. 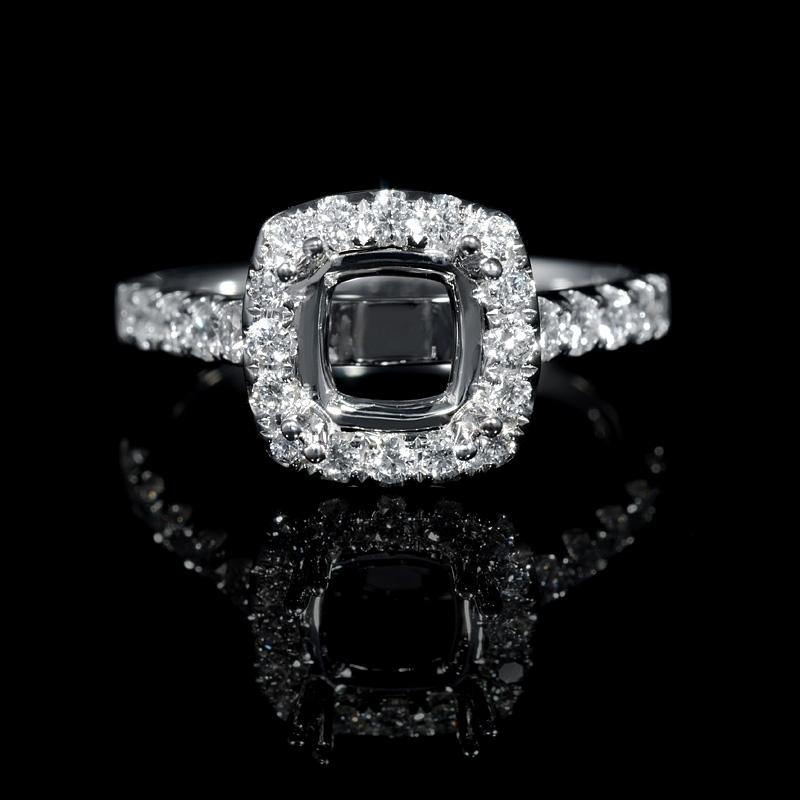 Setting Details: 18k white gold with halo design and accommodates a 8mm x 8mm princess cut center stone. 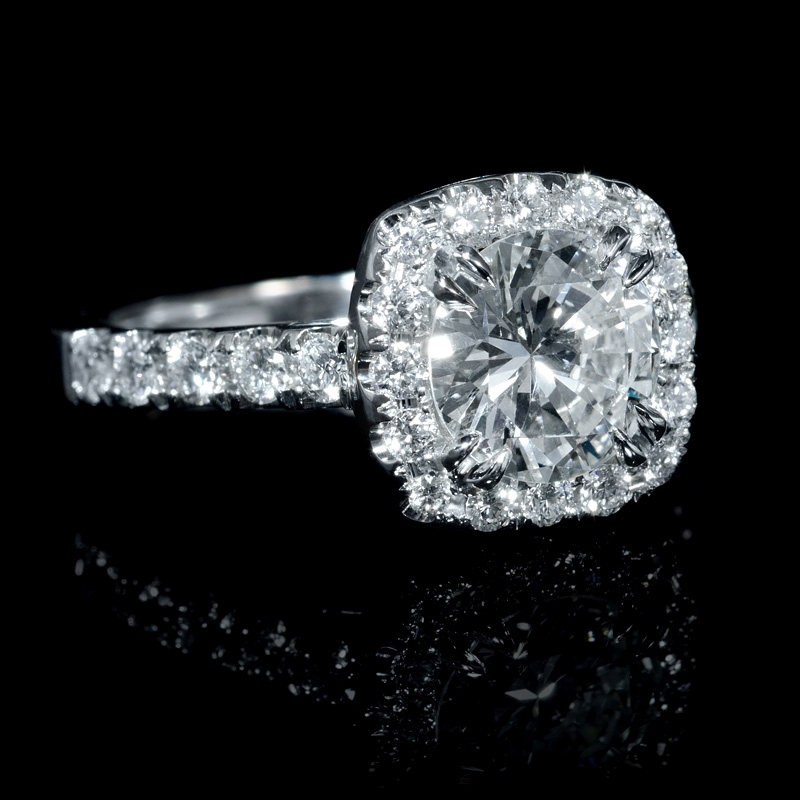 Please search #7035 for the matching wedding band ring. Measurements: Size 5.75(sizable) and 10.5mm at the widest point. Some sizes may be special ordered and take approx 4-6 weeks to deliver. 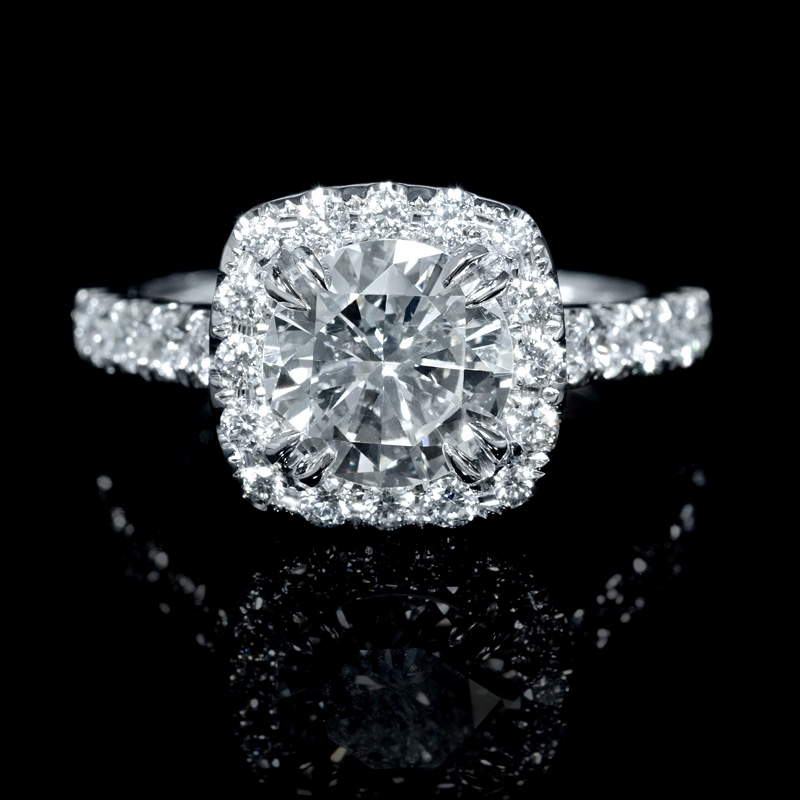 This gorgeous 18k white gold halo engagement ring setting, features 26 round brilliant cut white diamonds, F color, VS2 clarity, with excellent cut and brilliance, weighing .59 carat total. 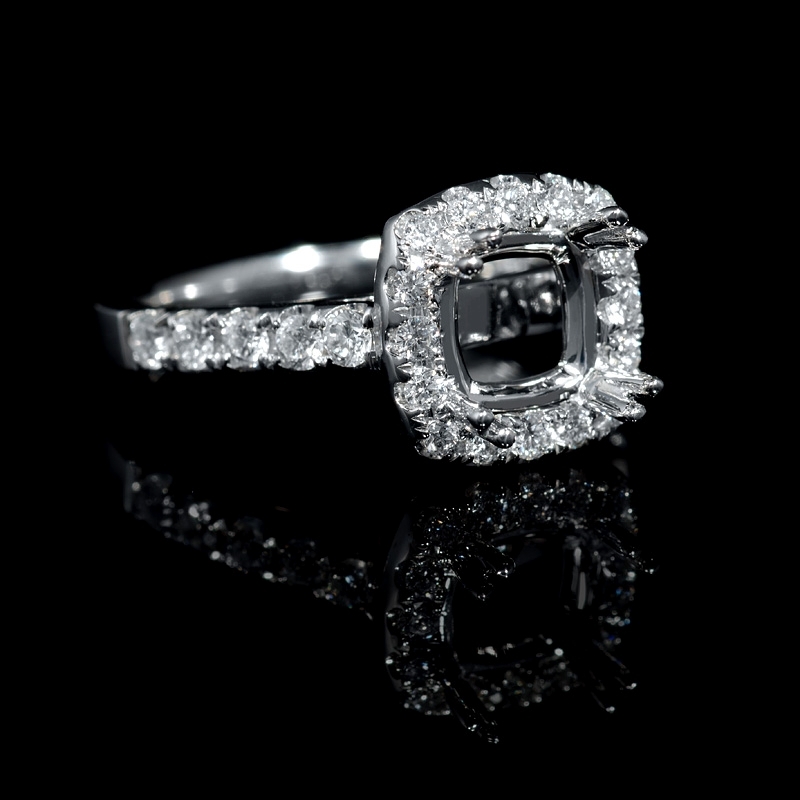 The ring is a size 5.75 and 10.5mm at the widest point. 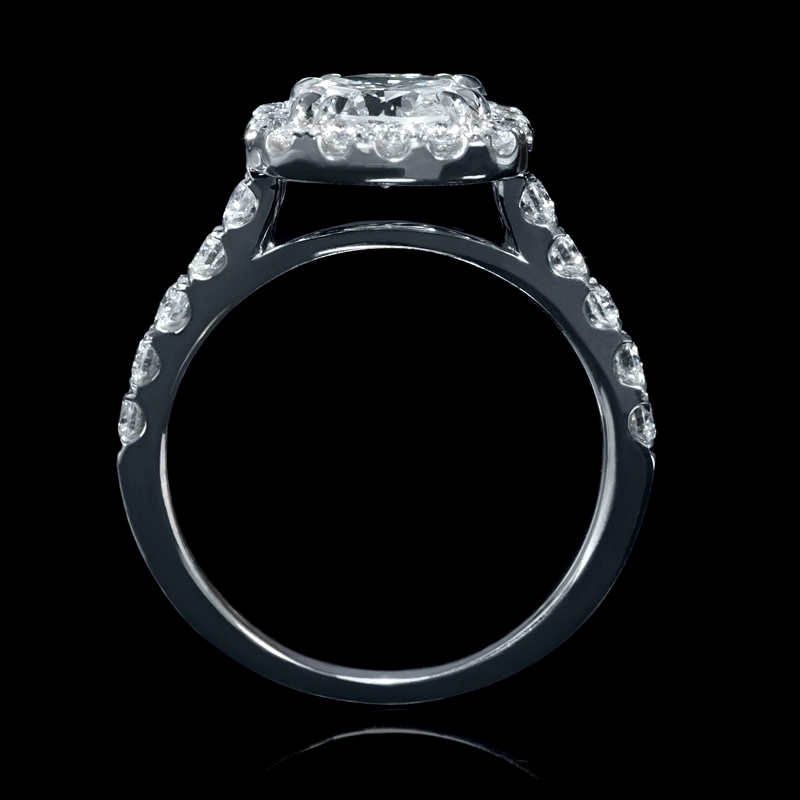 This ring accommodates a 8mm x 8mm princess cut center stone. 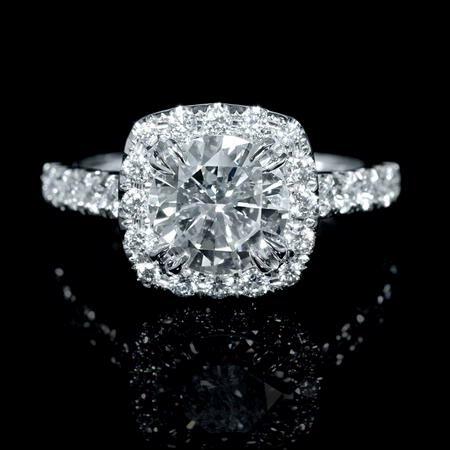 Please search #7035 for the matching wedding band ring.